Royal & Langnickel Crafters' Choice Value Sets - Series RCC-300. 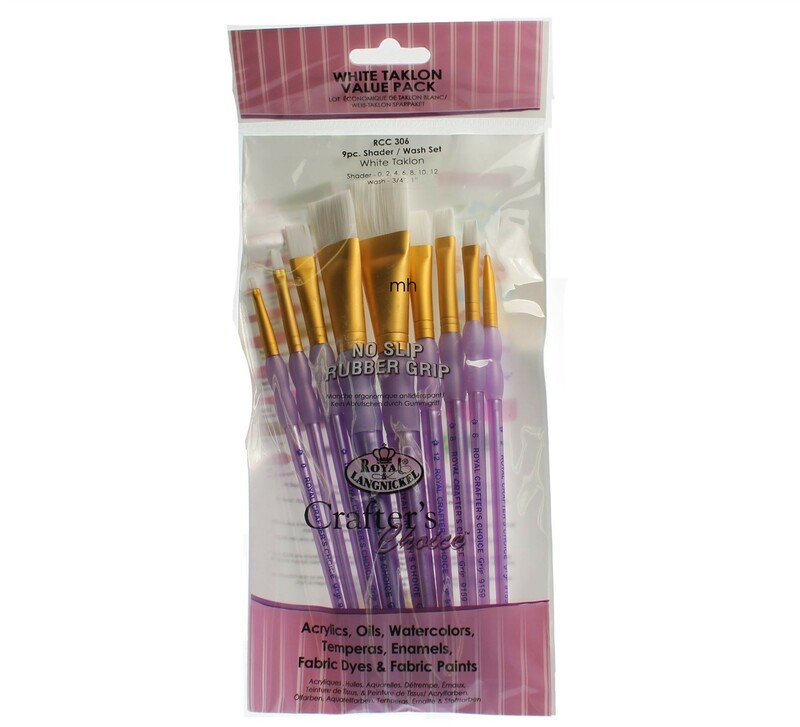 All brushes come from Royal & Langnickels soft grip range and are designed for comfort and value. 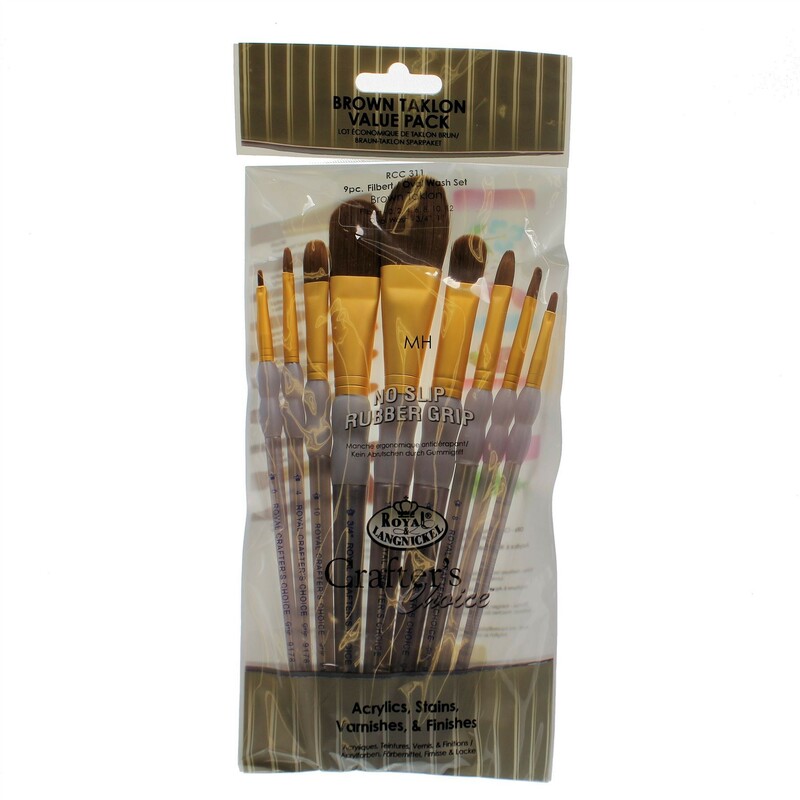 Soft grip brushes with no-slip rubber grips. Other styles, sizes and hair types are available. 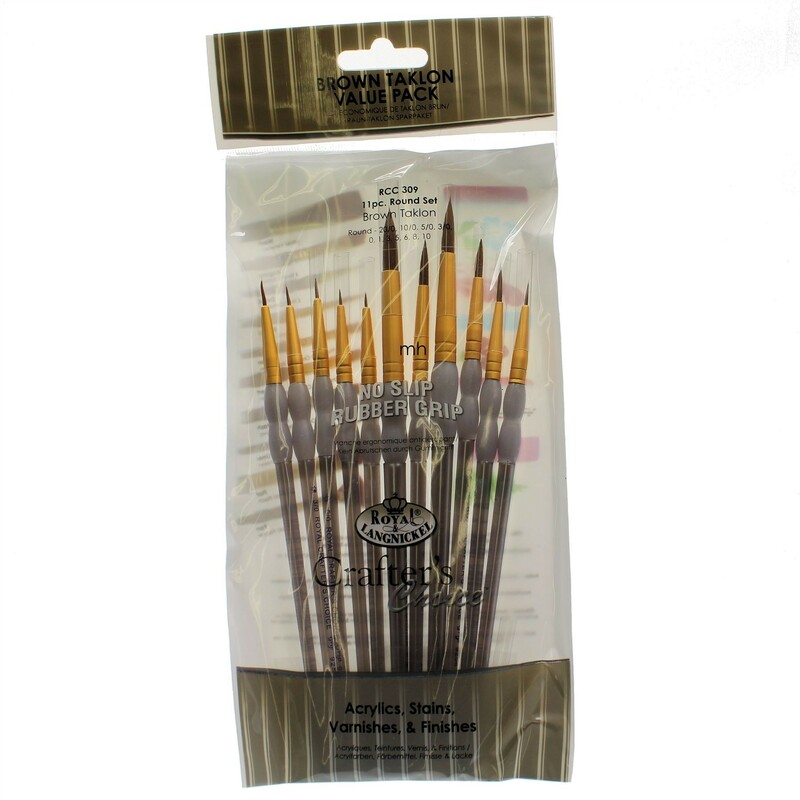 RCC-301 11pc Round Set round 20/0, 10/0, 5/0, 3/0, 0, 1, 3, 5, 6, 8, 10, Ideal for Acrylic, Watercolour Oil, Temperas, & Glazes. 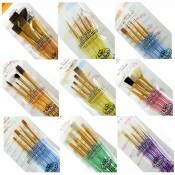 RCC-302 9pc Shader / Wash Set Shader : 0, 2, 4, 6, 8, 10, 12. 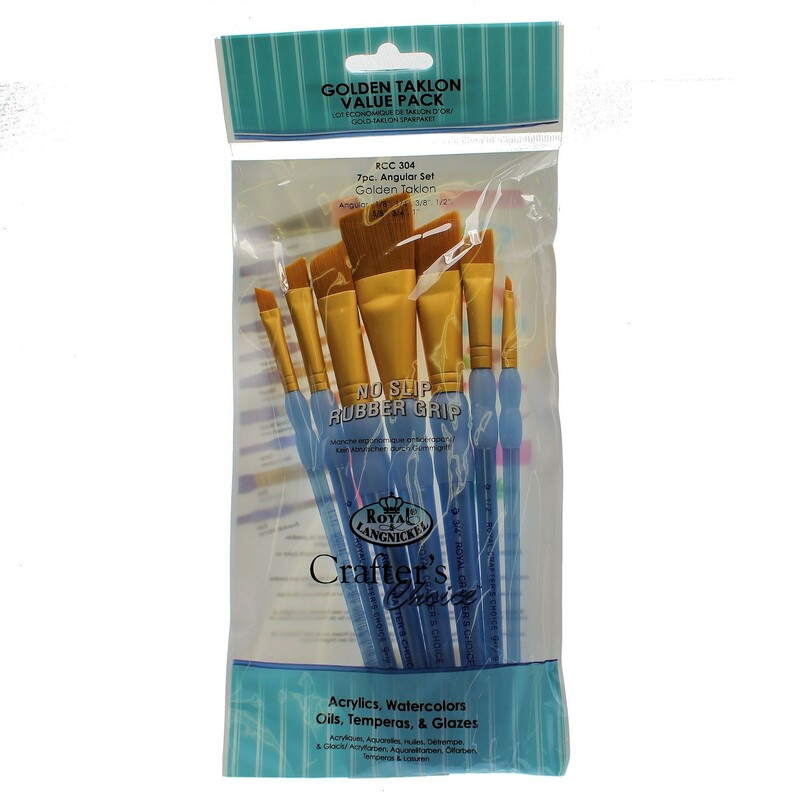 Wash : 3/4", 1", Ideal for Acrylic, Watercolour Oil, Temperas, & Glazes. RCC-303 9pc Filbert / Oval Wash Set Filbert : 0, 2, 4, 6, 8, 10, 12. 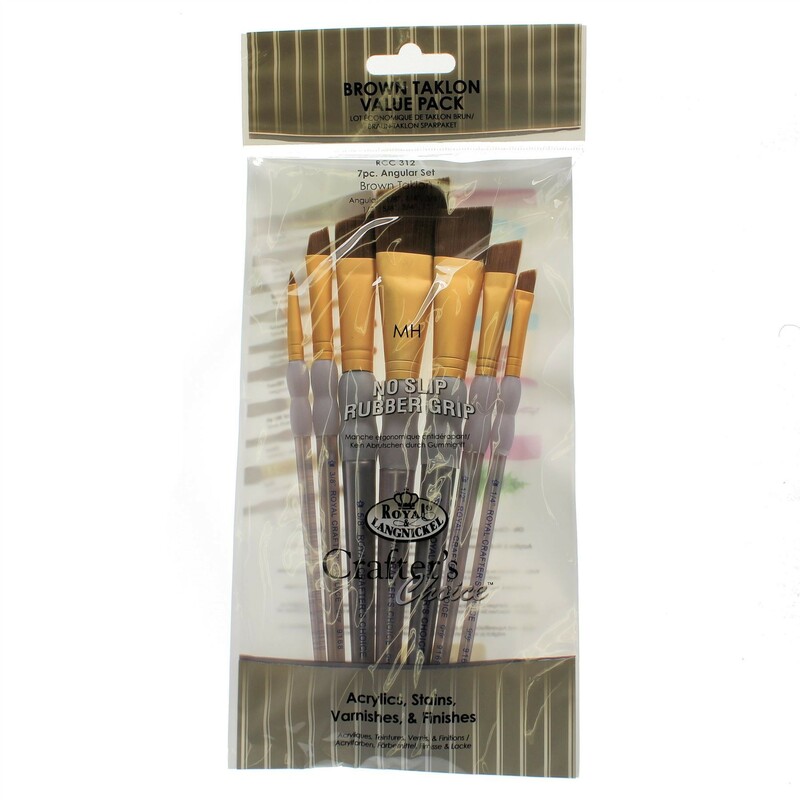 Oval wash: 3/4", 1", Ideal for Acrylic, Watercolour Oil, Temperas, & Glazes. 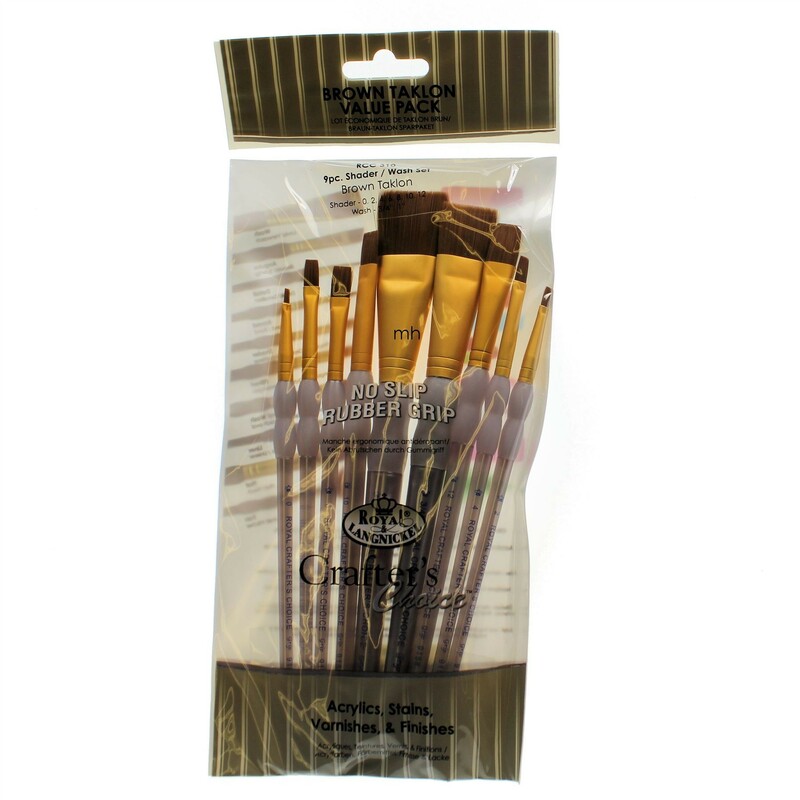 RCC-304 7pc Angular Set Angular: 1/8", 1/4", 3/8", 1/2", 5/8", 3/4", 1", Ideal for Acrylic, Watercolour Oil, Temperas, & Glazes. 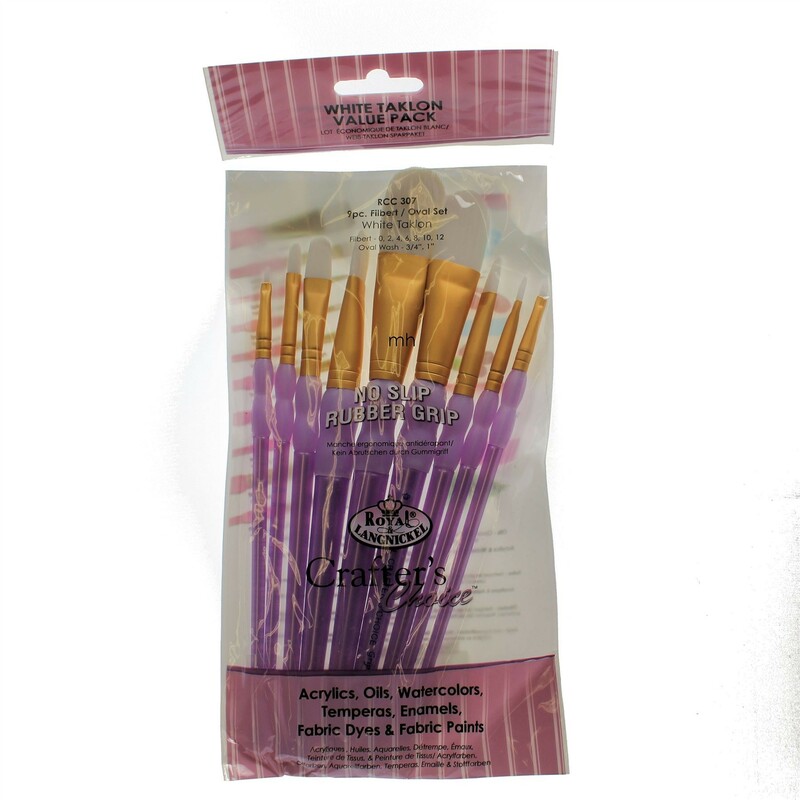 RCC-305 11pc Round Set round 20/0, 10/0, 5/0, 3/0, 0, 1, 3, 5, 6, 8, 10 , Ideal for Acrylic, Watercolour Oil, Temperas, Emamels, Fabric dyes & Fabric Paints. RCC-306 9pc Shader / Wash Set Shader : 0, 2, 4, 6, 8, 10, 12. 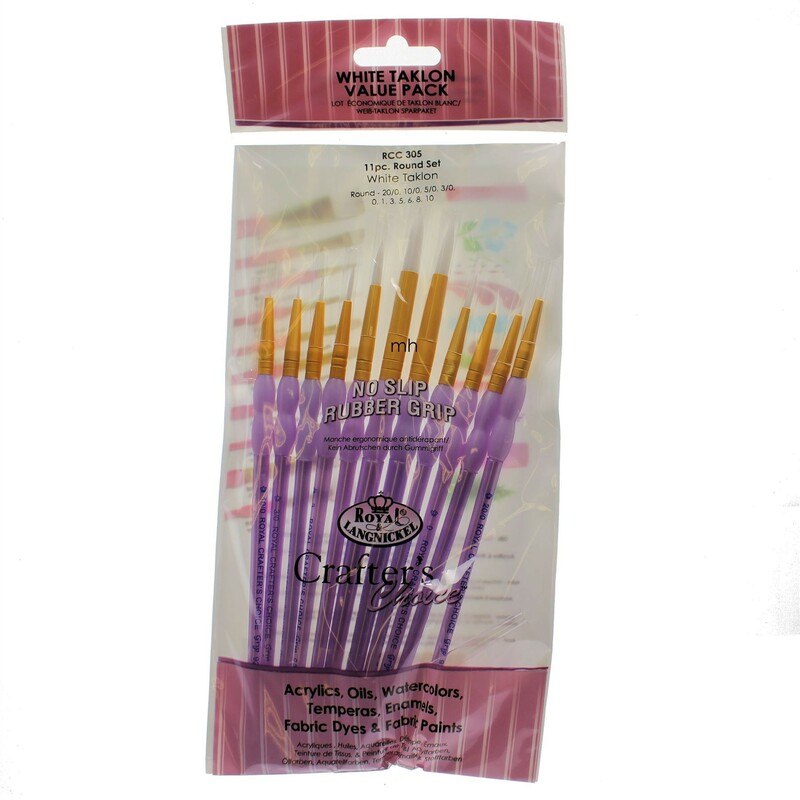 Wash : 3/4", 1", Ideal for Acrylic, Watercolour Oil, Temperas, Emamels, Fabric dyes & Fabric Paints. RCC-307 9pc Filbert : 0, 2, 4, 6, 8, 10, 12. 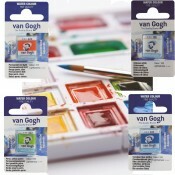 Oval wash: 3/4", 1", Ideal for Acrylic, Watercolour Oil, Temperas, Emamels, Fabric dyes & Fabric Paints. 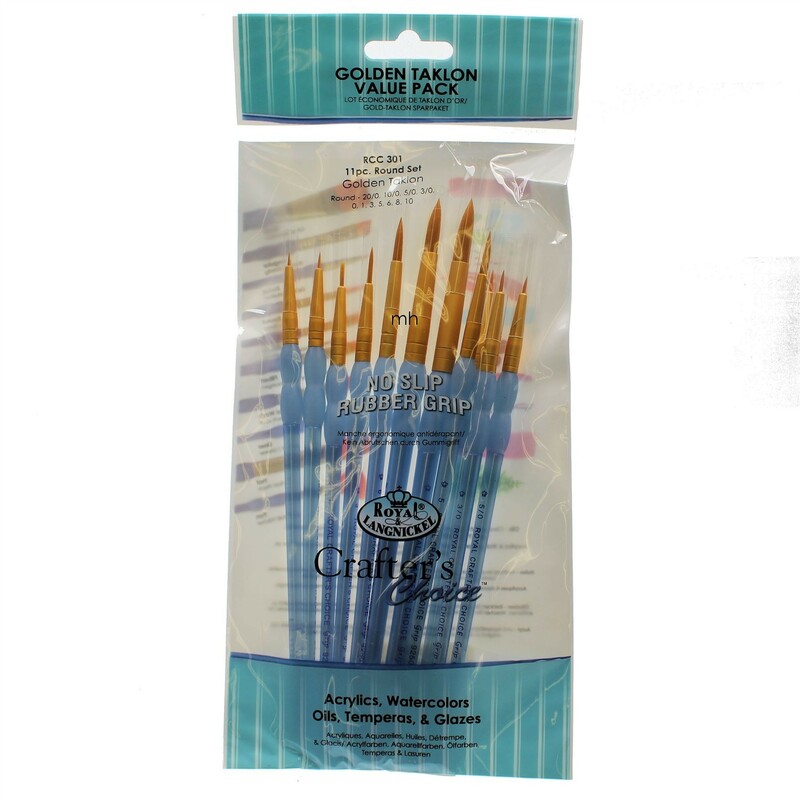 RCC-308 7pc Angluar: 1/8", 1/4", 3/8", 1/2", 5/8", 3/4", 1", Ideal for Acrylic, Watercolour Oil, Temperas, Emamels, Fabric dyes & Fabric Paints. 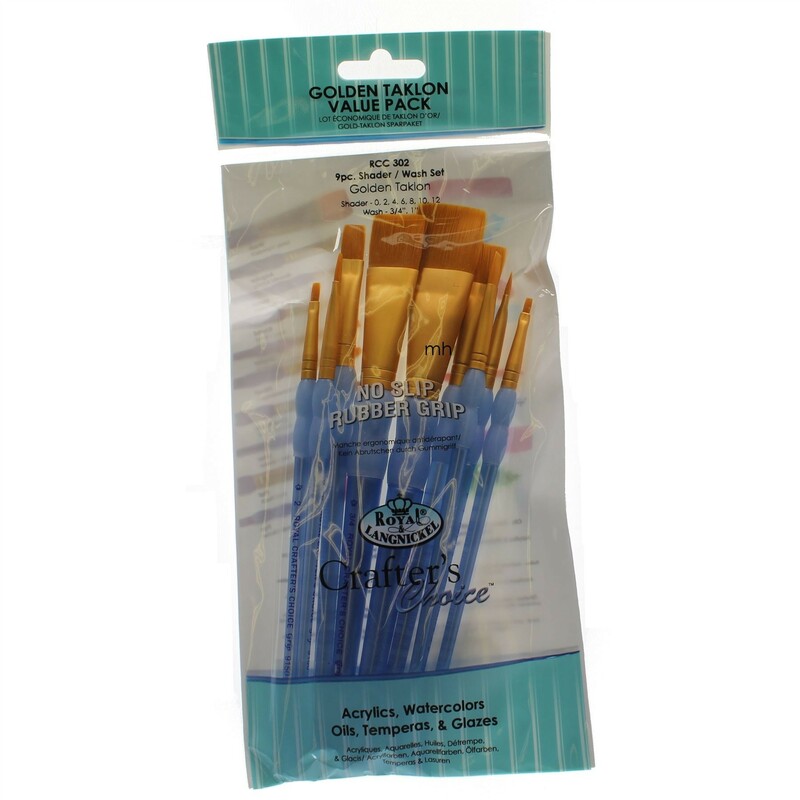 RCC-309 11pc round 20/0, 10/0, 5/0, 3/0, 0, 1, 3, 5, 6, 8, 10, Ideal for Acrylic, Stains Varnishes & Finishes. RCC-310 9pc Shader : 0, 2, 4, 6, 8, 10, 12. 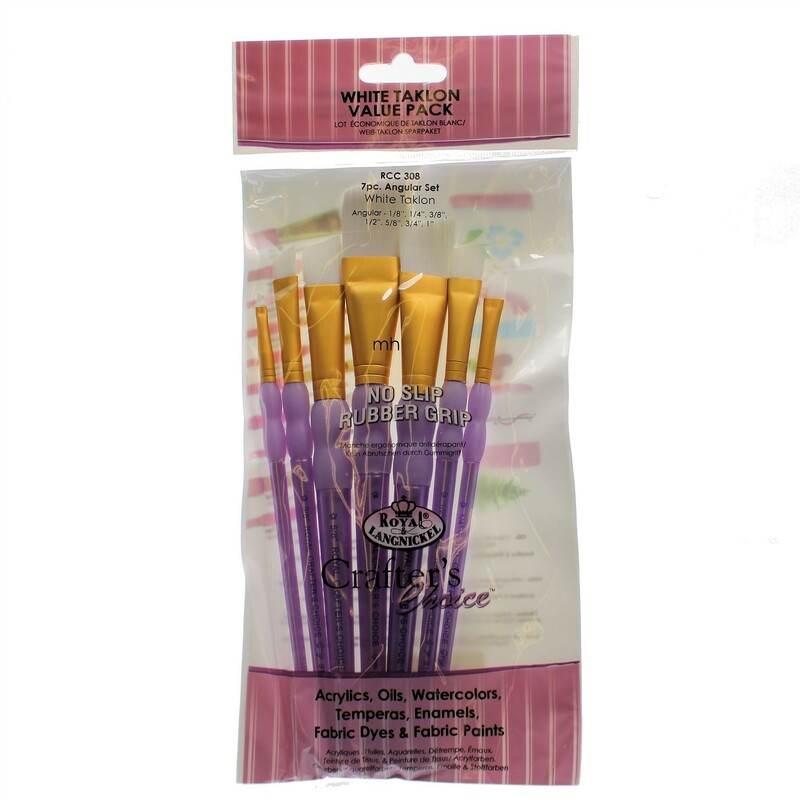 Wash : 3/4", 1", Ideal for Acrylic, Stains Varnishes & Finishes. RCC-311 9pc Filbert : 0, 2, 4, 6, 8, 10, 12. 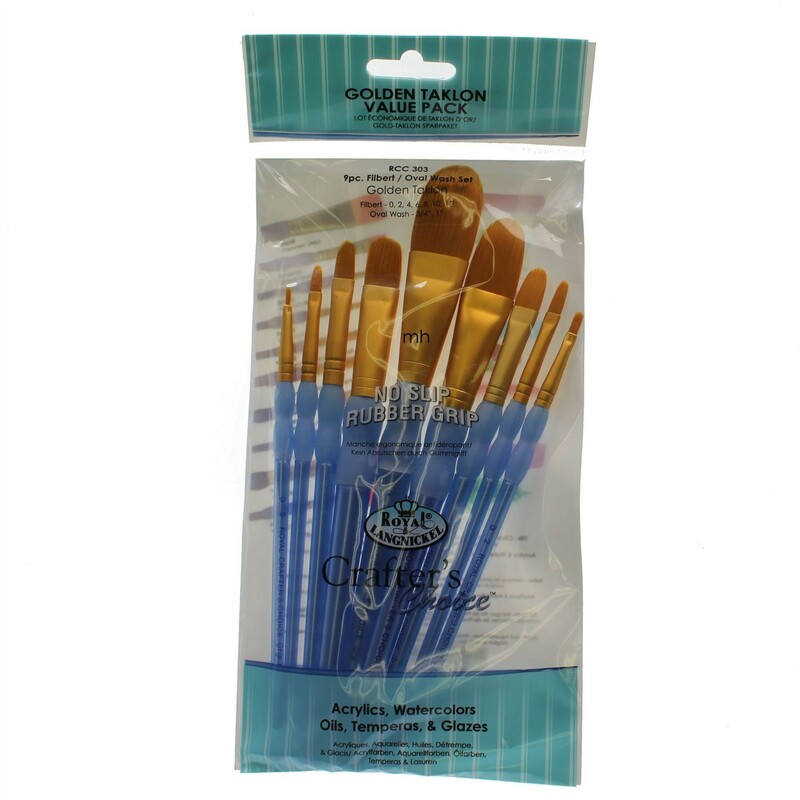 Oval wash: 3/4", 1" Ideal for Acrylic, Stains Varnishes & Finishes. 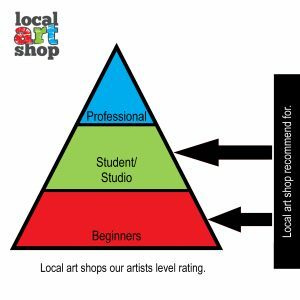 See FAQ's regarding our promotions such as buy 2 get 3rd free offers. Buy 2 get 3rd free. Customers must ensure that they have added all three items to their shopping basket to qualify for discounts - cheapest item free, mix and match any items that appear in the Buy 2 get 3rd free section.